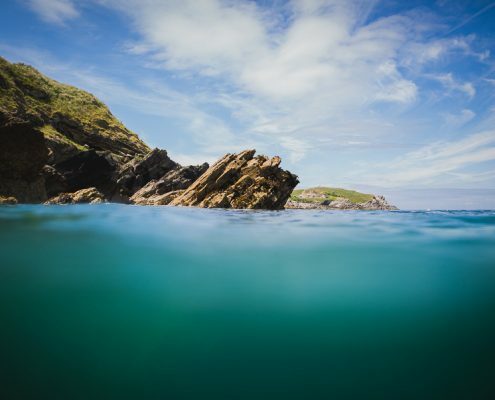 Our Surf, Coasteer & Wild Camp adventure weekend is designed to be the perfect mix of wilderness & adventure. 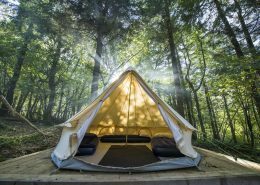 Attended by like-minded individuals, couples and small groups of friends, this no previous experience necessary adventure weekend for adults is packed with adventure, activities and unique wild camping suited to all walks of life. 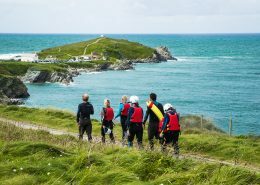 You can join one of our unique adventure weekends each weekend from May through to the end of September. 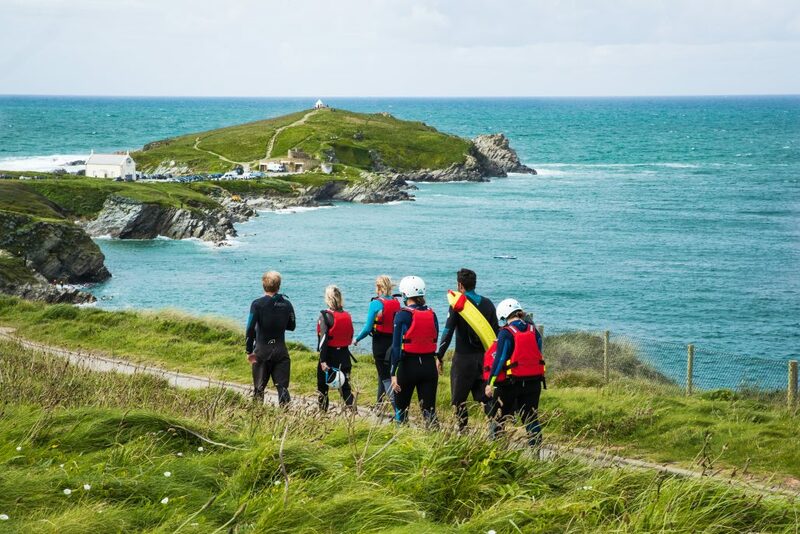 Split over a Saturday and Sunday – we combine two progressive surfing lessons, hosted wild camping and coasteering to complete a cracking adventure weekend for adults. 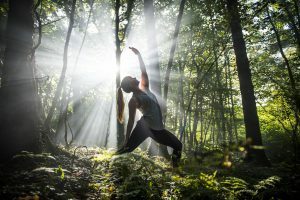 Its a weekend packed from start to finish with something for everyone and with all our activities suited to those with past experience or zero experience you can book happy knowing you’re in for a treat. The weekend kicks off at 9am on the Saturday. With plenty to pack into the day we crack straight on with introductions and check that everyone knows the plan and timings for the weekend. *Make sure you’ve read our suggested packing list or taken a look at our INFO PACK to give you a good idea of what to bring and expect before arriving. The layout of each weekend differs due to the movement in the tide. Simply this means some weekends it’s better to run both surf lessons on the Saturday and coasteering on Sunday and others we switch it around. Either way, we aim to finish and have satisfied your hunger for adventure by around 1pm on Sunday. 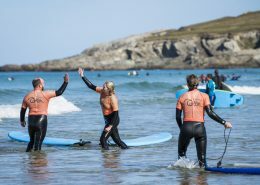 Our surfing lessons and Coasteering sessions are designed to include everyone, whatever your experience. Each session is roughly two hours from once the group is ready. Coached as an individual our aim is to provide you with enough information and skills to feel confident to practice what you’ve learnt in your own time. 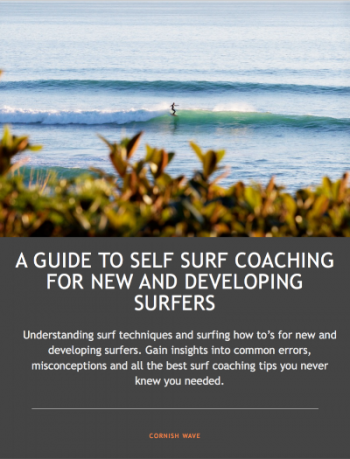 In each of the lessons, we break the skills down the into digestible sections for you to then go and practice. 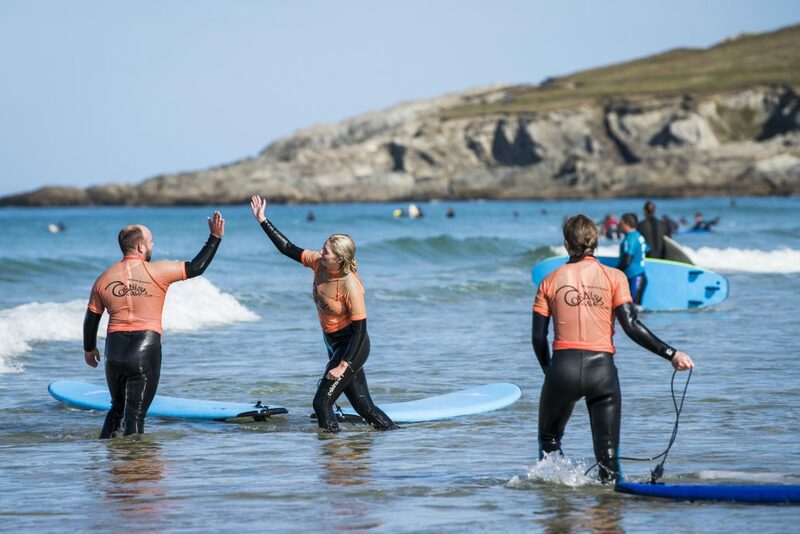 With constant demonstrations both on the beach and in the water we’re present throughout your lessons to help with pointers and suggestions to improve your riding and understanding of the sport. 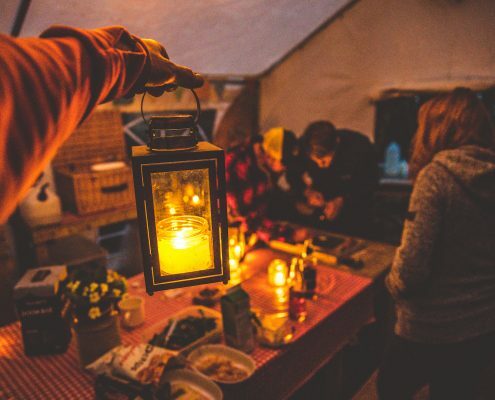 The jewel in the crown of all our adventure weekends our Wild Camping site is the perfect environment to unwind, relax and enjoy a few social drinks whilst BBQ’ing, playing woodland games and sitting around the open fire. 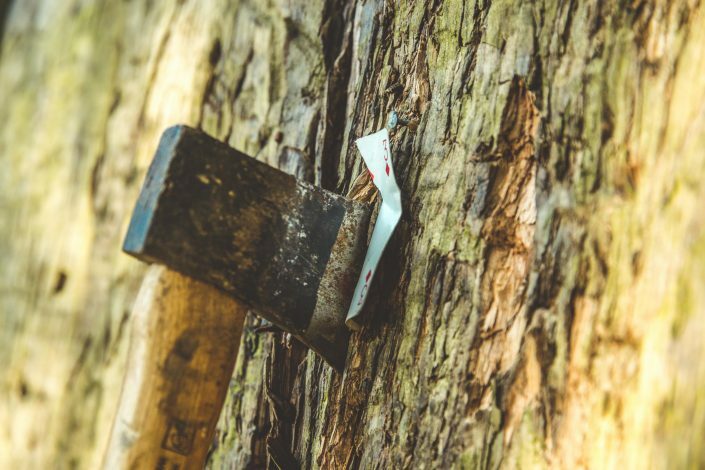 With plenty to occupy you as you while away the evening in our handcrafted woodland camp you’ll have the chance to throw axes, learn friction firefighting or take up one of the many other mini woodland games before kicking back around the fire. 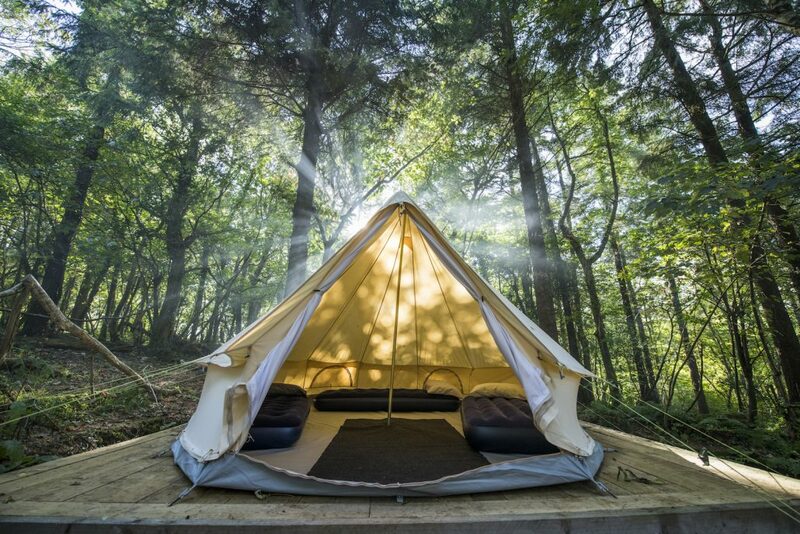 When bedtime calls you’ll sleep soundly in our shared canvas bell tents complete with airbeds and pillows. 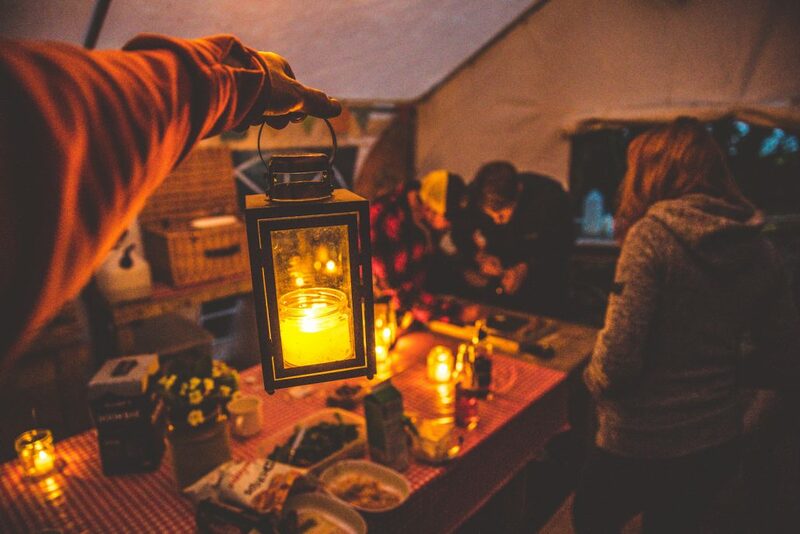 Arise refreshed from a night under the stars and enjoy complimentary tea/ coffee, fruits and cereals before heading back to the coast for the final adventure session of the weekend. 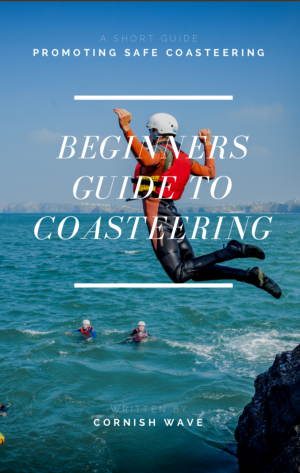 Whether you’ve heard about Coasteering or not, it’s got to be one best ways to explore the coastline and satisfy your taste for adventure all in one go. 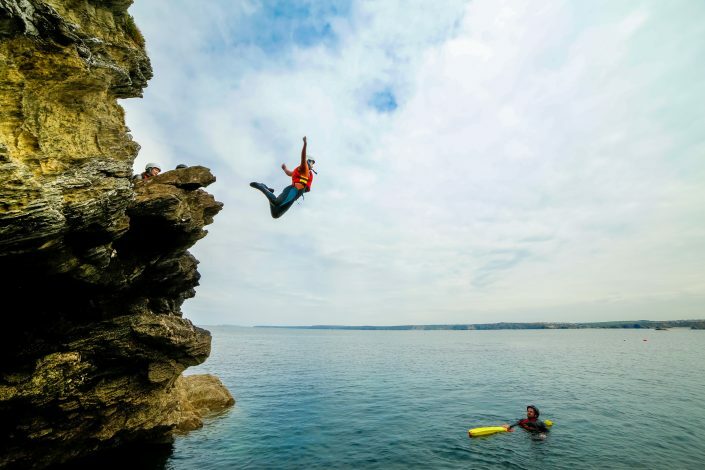 Our coasteering sessions are our most popular activity and receive raves reviews from all walk of life. Each session is guided and delivered to the conditions of the day and to the individual’s ability. 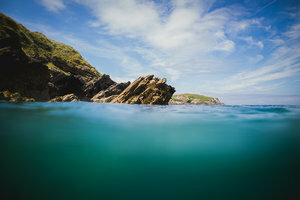 From short swimming sections (wearing a buoyancy aid) low-level traversing (easy climbing along the waterline) to deep water jumps and discovering beautiful bays and old smugglers caves. No. You won’t have to do anything you don’t want to do and you won’t need to complete a jump to finish the course. 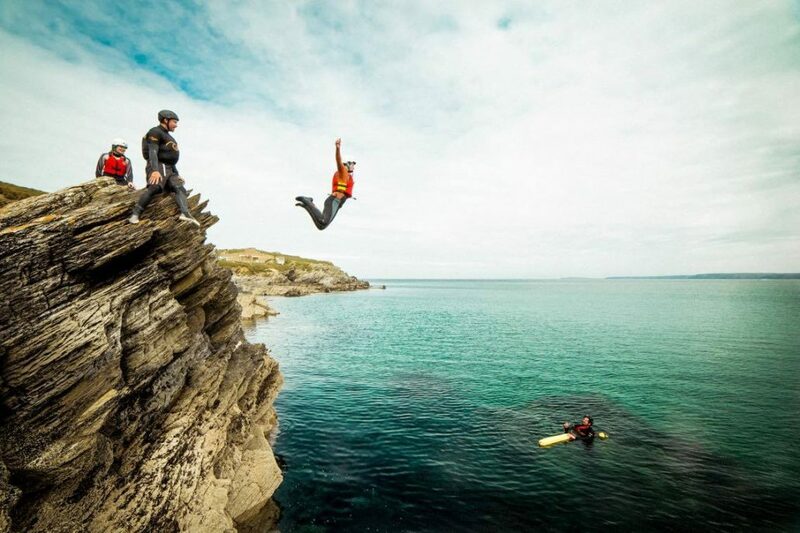 Don’t fancy our Surf, Coasteer & WIld Camp Weekend? 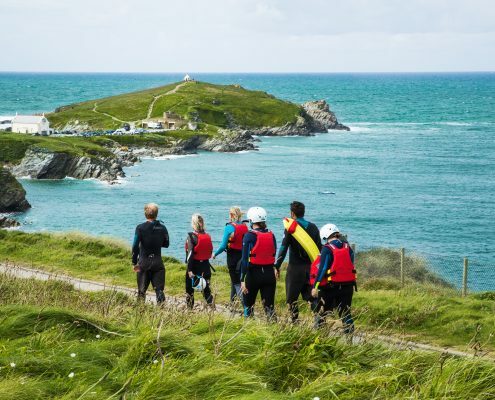 Why not take a look at our other popular weekend adventures for adults or get in touch to book your own adventure weekend. 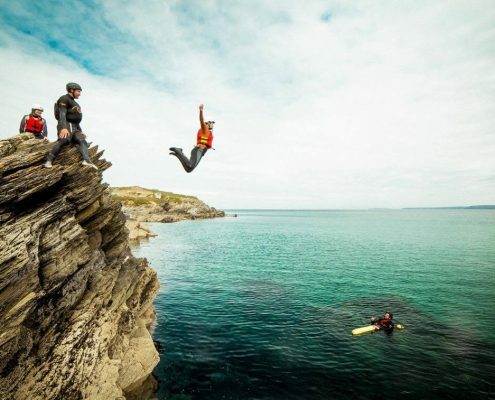 Coasteering is primarily a water based coastal adventure activity where participants overcome a mixture of natural obstacles and challenges using a variety of basic skills such as wild swimming, low level traversing, entering & exiting the water and deep water jumps, to name a few.